There are 3,765 foreclosure listings of all types of home currently available of which 555 are Jacksonville bank foreclosures. The most popular neighbourhoods include: Riverside, Sandalwood, Avondale and Chimney Lakes with Springfield having the highest week-on-week, average price listing appreciation of +3.2%. However, up-and-coming neighbourhoods that show a promising future return on investment include: Normandy, Longbranch, Jacksonville North Estates, Lake Forest and Hollyford (with a week-on-week average price listing appreciation of +36.9%). Jacksonville is also referred to as the Bold New City of the South. This has become a great place for families to play, work, and live. The cost of living in Jacksonville is lower compared to the other cities in Florida. That's why many families choose to call this city their home. Whichever neighborhood families choose to live or buy Jacksonville bank foreclosures, chances are they will be near water. Waterfront properties are common in this city because of the ocean beaches, the boating Intracoastal Waterway paradise, lakes, lagoons and ponds that are scattered everywhere. Getting a waterfront residence can be wonderful. 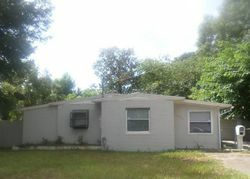 There are 3,765 foreclosure listings in Jacksonville and most of these may be located near water. The average price per square foot for Jacksonville homes is $73. 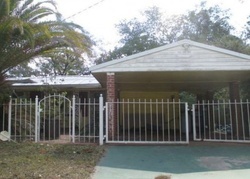 Buyers who purchase a home from the foreclosure listings in Jacksonville can secure a bargain investment in one of the most popular cities in America for relocation and business expansion. Jacksonville has been ranked as one of the top ten “Hottest Cities in America” by Expansion Management Magazine for the last six years. The metropolitan city is the largest in Florida in terms of land area and population, with approximately 850,000 residents and an annual growth rate of 14.7% since 2000. The city is a leading distribution centre and its convenient location makes it the center of an active transportation network that includes port, air, rail and trucking facilities. Jacksonville also boasts an abundance of natural assets. It offers one of the largest urban park systems in the country. The expansive beaches and many waterways, lakes and ponds are a characteristic feature of the local population's way of life. 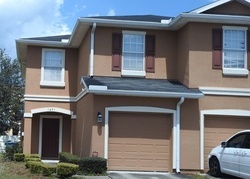 That is why Jacksonville has become the preferred location for home buyers looking for the ideal combination of work and family life. Approximately 56.3% of homes in Jacksonville are owned and 63.2% are single family type. 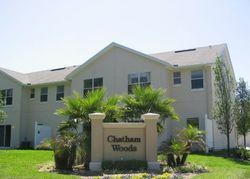 The average listing price for homes, for the week ending 23 March 2011, was $218,732. The median sales price, for the period 10 December to 11 February 2011, was $106,000 based on 1,584 sales. 54.9% of the homes are between 1000 – 1800 square feet in size at an average price per square foot of $70. The average cost of living in Jacksonville is 15% lower than the average for the rest of the country. 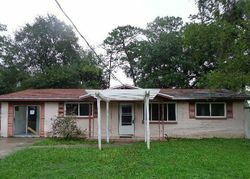 Buyers looking for affordable homes in a city that offers expanding business opportunities and a high quality family life should consult the foreclosure listings for Jacksonville to see what is available today.